Looking for established Monroe Township real estate specialists? Try the experienced and professional staff at Century 21 Reilly Realtors. Since 1951, we’ve been serving the needs of buyers and sellers throughout South Jersey, and we’re proud of our long list of happy customers. We’re based just a short drive away in Berlin, and our Gloucester County agents can represent you whether you’re moving to or from beautiful Monroe Township. Buying A Home. Choosing a place to live is a momentous time in your life. If you’re considering buying a home in Monroe Township, have an agent working for you rather than the seller. We’ll help you decide what you can afford, help you qualify for mortgage pre-approval, and choose a residence based on your must haves and nice to haves. Selling A Home. Click here to request your free of charge home evaluation. We’ll help you set a price based on fair market assessments. When you’re ready to sell, we’ll list your property in a Multiple Listing Service, find buyers and negotiate proposals. When it’s time to close the deal, we’ll make sure the agreement is legally binding. Relocation. 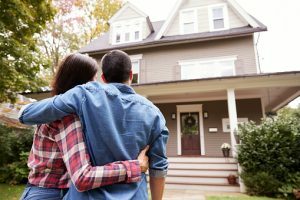 Looking to move to Monroe Township and need advice? You’re in luck…many of our agents are transplants to South Jersey ourselves, and we know what a difference location makes. We can help you choose a residence based on property taxes, school districts, traffic patterns and more. Choosing the right location can save you a great deal of money, time and hassle. When you’re looking for Monroe Township real estate specialists with a track record of client satisfaction and familiarity with South Jersey, contact Century 21 Reilly Realtors to get started. We look forward to helping you buy or sell a home in our beloved South Jersey. Posted November 26, 2018 & filed under Berlin Real Estate.